Additional Info: 2 huge outdoor decking areas as per pictures. 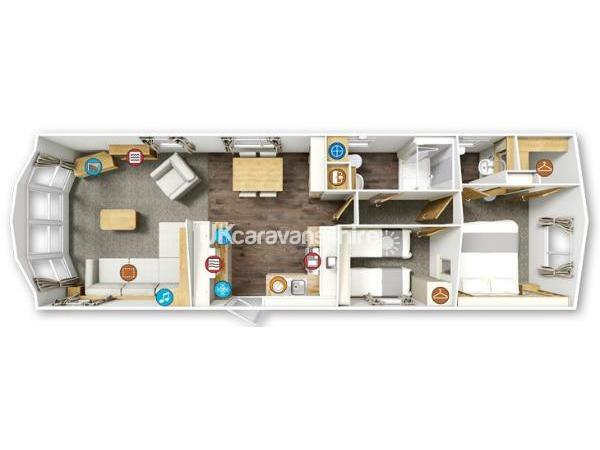 Two bedrooms, master bedroom has king size bed, en suite and walk in wardrobe. Second bedroom has twin beds, setee in front room turns into double bed. Mains gas, electricity and water all included in hire cost. Welcome to our new holiday home. We only picked the keys up in March 2017 and have decided to rent it out when we are not there. 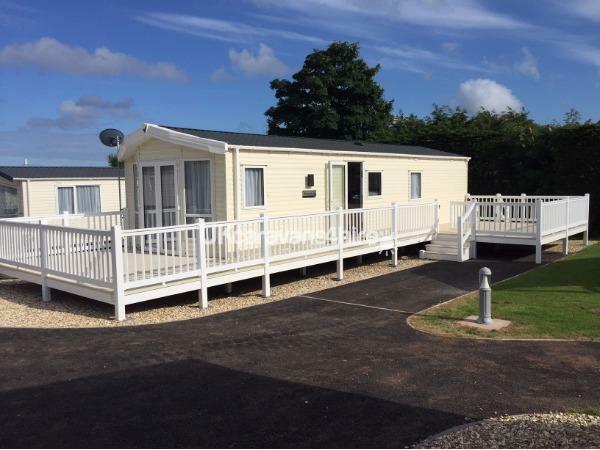 It is situated on the Private Owners section at Beverley Park in Paignton. The site has lots of facilities for the whole family to enjoy, indoor and outdoor heated swimming pools, sauna, gym etc. There is an on site restaurant in the new refurbished Jetty Lounge Bar & Terrace. There is a soft play area, a café, a shop for all your essentials and a laundrette on site. There is daily and nightly entertainment again for all the family for which you will receive free passes, we recently saw Sam Bailey the X Factor winner 2013. 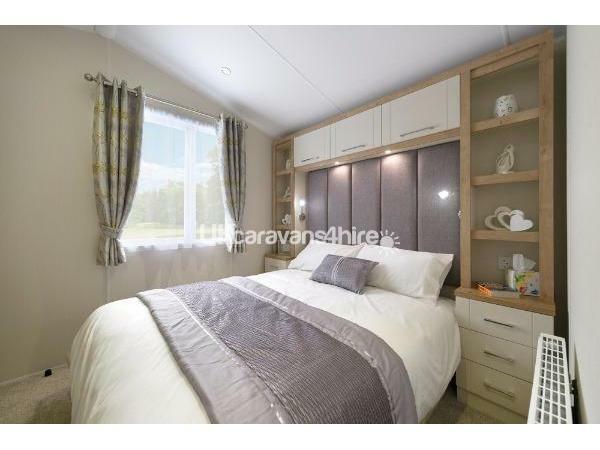 The caravan itself is brand new Willerby Winchester and sleeps 6 people. The master bedroom has a king size bed, is en suite, has a walk in wardrobe and a 32" wall mounted flatscreen TV. The second bedroom has two twin beds with ample storage space. 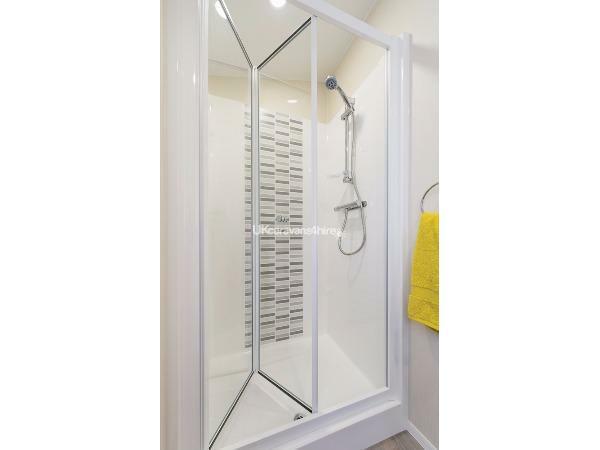 There is a large family bathroom with a large walk in shower. the Kitchen / dining area has all the mod cons with built in microwave, gas hob and oven, dishwasher and washing machine with built in tumble dryer. There is a table and four chairs also in the dining area. The front room has a large L shaped settee that turns into a double pull out bed, there is a large 40" flatscreen UHD TV that is connected to the internet, there is also a DVD player. All bed linen, is provided free of charge but you will need to make the beds upon arrival. 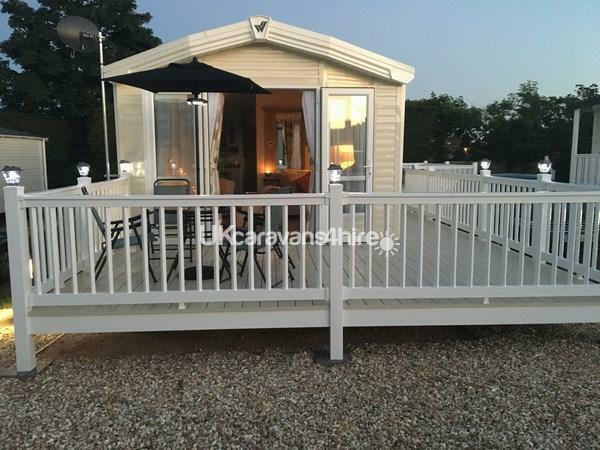 WIFI is available on the whole of the park and is payable locally through "Club WIFI"
There are double french patio doors that open onto a huge 16'x 10' decking to the front of the caravan and another huge decking area to the rear which is 15' x 13'. Availability is listed as weekly and is from Saturday to Saturday with a check in time of 3pm onwards and a check out time on day of departure of 10.00am. 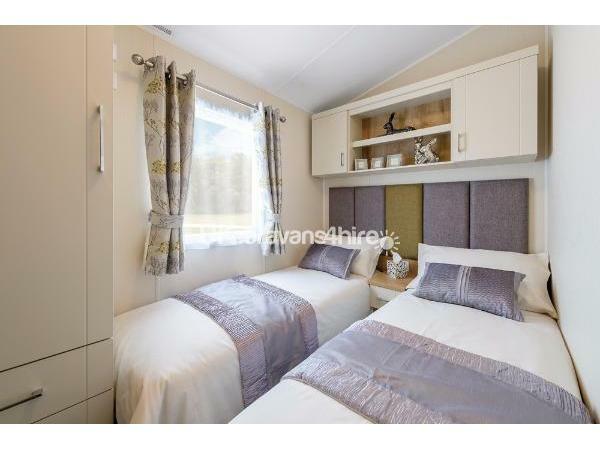 A wonderfully furnished caravan on a lovely holiday site. We had a very comfortable stay. 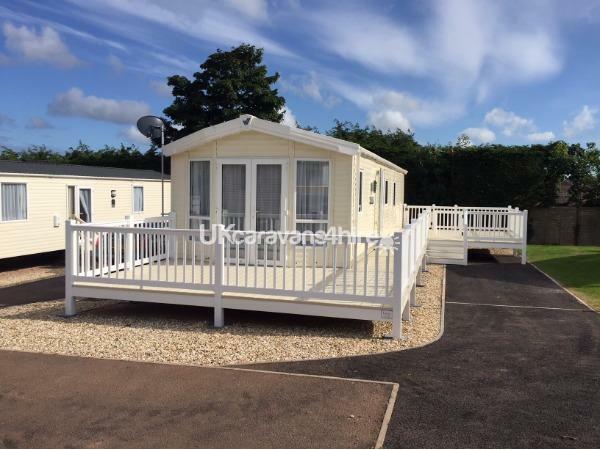 The caravan is spotlessly clean and very well equipped and is in a great, quiet and private spot on the park. Beverley Park's staff are all very friendly and helpful. We would fully recommend. 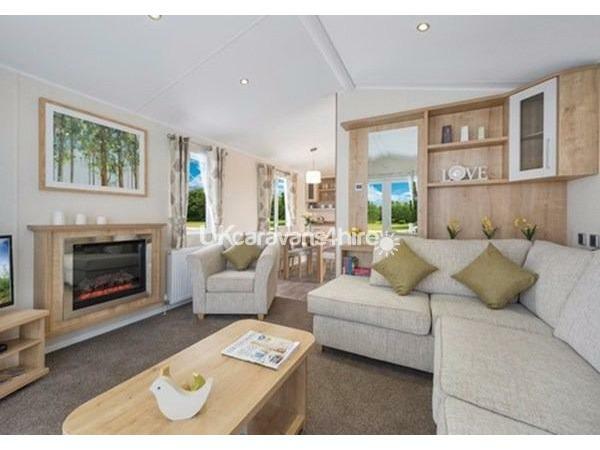 Beautiful caravan in a lovely quiet spot on a very good park. Loads for our 13 and 11 year olds to do, excellent indoor and outdoor pools and very good club on site, loved it! 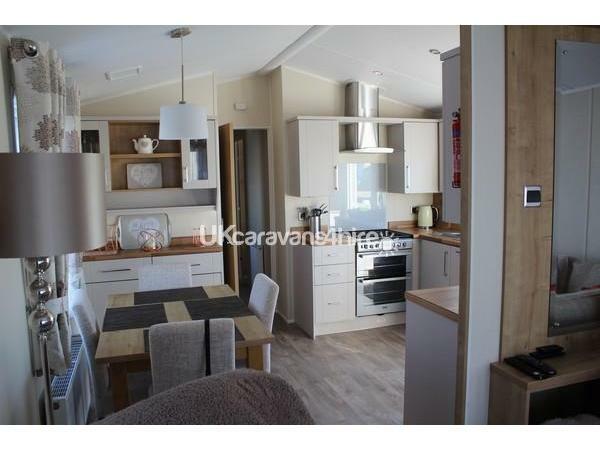 Beautiful clean caravan .Owners wonderfull helpfull prompt reply to all emails and questions . Very helpfull . Beautiful caravan in ideal location. Site is great with good amenities & entertainment. We had a lovely week away - the caravan is fully equipped, spacious and clean. Everything went very smoothly from start to finish - we would definitely recommend and we will be back! Lovely caravan and park. Young one enjoyed the park which was close to caravan. Great outside pool. Overall -Nice place. 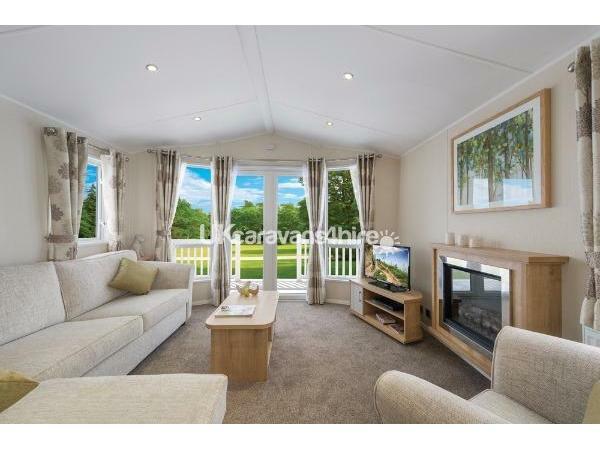 Fantastic caravan in a lovely area of the park. Facilities on site were good.